Reynolds Funeral Home announces with deepest sympathy the passing of Mr. Thomas James McGuire, 53 of Decatur, AL. 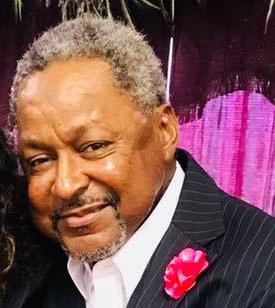 Mr. McGuire died November 26, 2018 at the Decatur General Campus of Decatur Morgan Hospital. A Celebration of Life will be 11:00am Saturday at Moulton Heights M.B.Church with Bishop Elijah Gray III. officiating and inhumation in Calvary Memorial Gardens. The body will lie in repose one hour prior to funeral with Reynolds Funeral Home directing. The family will receive friends on Friday evening from 5-6 at the funeral home. Public viewing will be Thursday from 2-6 and Friday from 10-5 at the funeral home.